Adam Duong is all in preflop, and James Carroll has him covered. Here is a look at their cards. 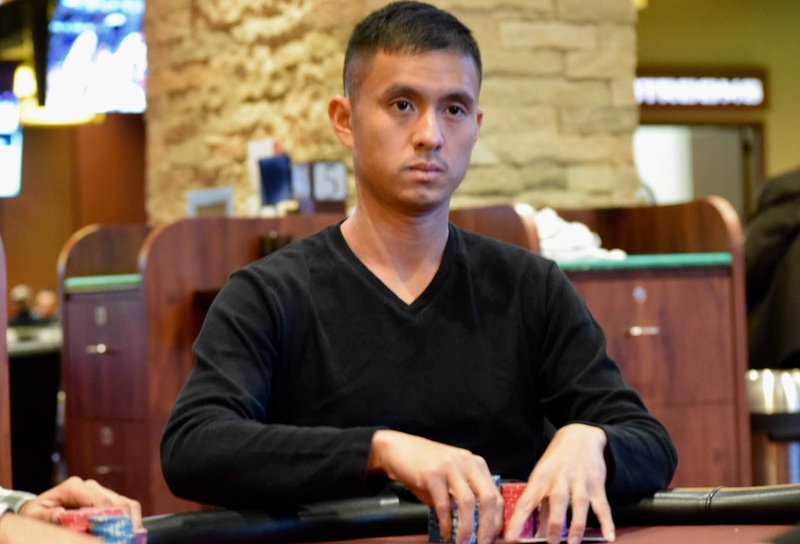 Duong is eliminated in 19th place, good for $15,895, and Carroll stacks up 1.64 million after the hand. The field is now drawing for new seats at the three final tables of six players.